More than half of the world's child deaths occur in fragile places like South Sudan and Afghanistan. Yet Canada only commits 25 per cent of its official development budget to these areas. To go the distance to reach the world's most vulnerable people, the figure needs to change. 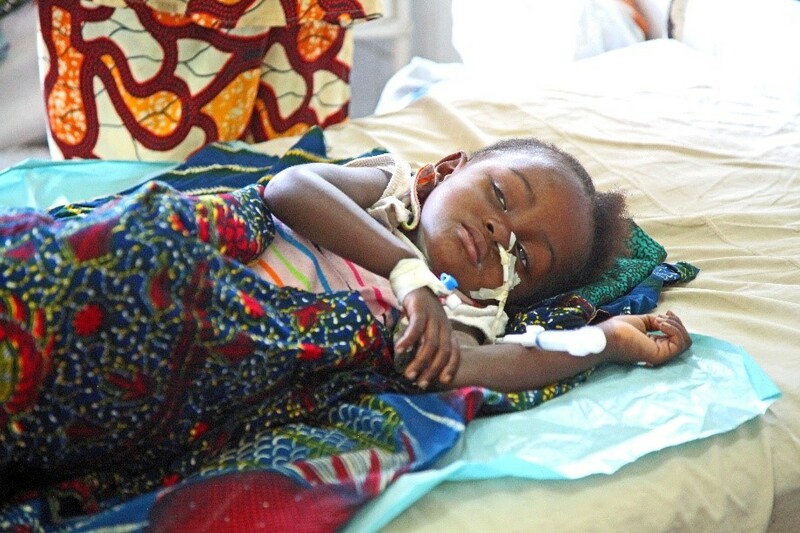 When four-year-old Maria finally arrived at the government hospital in the Democratic Republic of Congo (DRC) she was barely conscious. Holding her unresponsive body in his arms Maria's father, Ngoy, clung to what life she had, but in the back of his mind he assumed he would lose her. 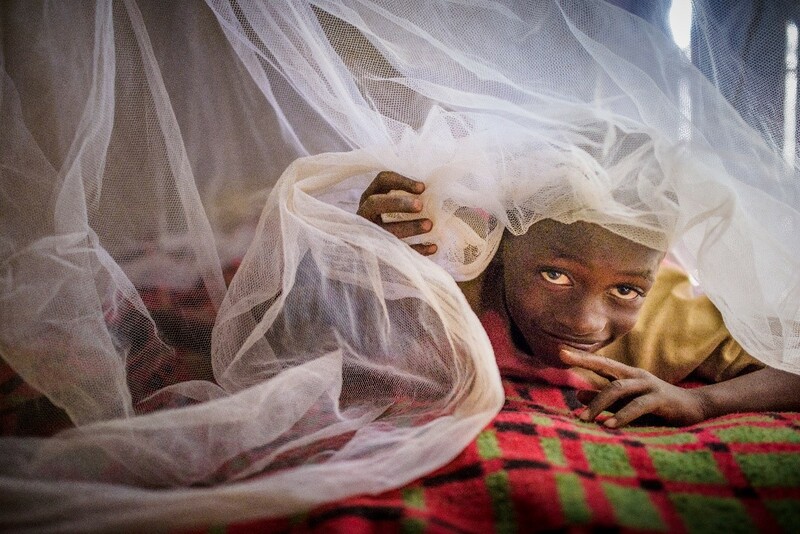 Malaria is no stranger to Maria's family who live in mosquito-stricken DRC. The moment their daughter's body temperature rose, Maria's parents knew what they dealing with. But a parent's love can only go so far when treatment options are limited. The violence of conflict is a constant threat for people living in the DRC. But the fighting that erupts so frequently also compromises DRC's brittle health system, allowing the more silent killer, malaria, to continue unchecked. Malaria feeds off fragility. In neighbouring Burundi, the disruption from recent political unrest has contributed to an unprecedented malaria outbreak, affecting half the country and putting millions of lives at risk. Instability brings uncertainty, and methods used in more stable countries don't always work. But there is also hope in fragility when local communities are equipped with effective, low-cost solutions. World Vision Burundi has trained 3,400 local health workers who have been deployed to fight the disease in their communities. One worker, Diomede Ndayisenga, regularly combs his community to check up on people, rather than waiting until they desperately need a hospital. One mother, whose child was diagnosed with malaria said, after seeing Ndayisenga, "I am happy my child is diagnosed and treated close to home." She knows that when certain types of malaria strike, it is a race against time before the disease could become fatal. Ensuring that people have access to healthcare is vital in combating infectious diseases like malaria, as well as AIDS and tuberculosis. 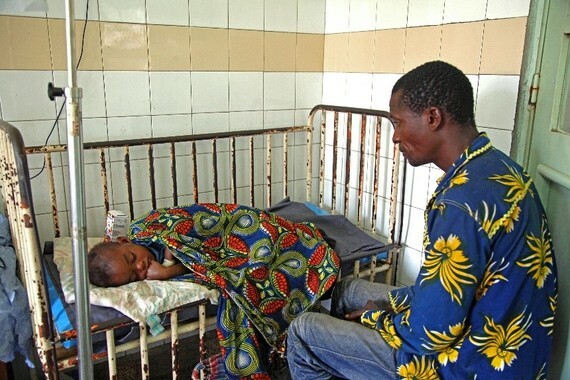 This approach is helping save lives in Burundi. But in the DRC, it isn't as simple. That's because working in fragile states -- countries like DRC and South Sudan -- is incredibly complex. Instability brings uncertainty, and methods used in more stable countries don't always work. When Maria's parents, Ngoy and Kona, noticed their daughter's unusually high fever, they raced her to their village's health care centre where they were told what parents in the DRC dread hearing: the clinic had no medication for their child. This is a hallmark of conflicted or fragile places like the DRC, says Amanuel Gidebo a health specialist for World Vision Canada. "It means that health facilities are not fully functional as they aren't adequately stocked and often there isn't enough manpower to support the patients," he says. "In some communities the situation is so dire that for us, at World Vision, it can often mean building a health system from scratch." Ngoy and Kona's village clinic may have had malaria treatment the month before, but the month when their daughter got sick, it did not. Racing against time, Ngoy left his wife to care for their newborn baby and took Maria on his motorbike to the government hospital in Kapolowe -- a day's ride away. Unresponsive, Maria arrived at the hospital where she was finally diagnosed with severe malaria and anaemia. But in order to get treatment and the blood transfusion she needed, Ngoy first had to ensure payment. In a desperate effort to do anything that would help save his daughter's life, Ngoy gave the hospital his motorbike as a warranty. Advanced-stage malaria isn't new to the nurses at Kapolowe. In fact, Maria is considered lucky to have arrived with a glimmer of a fighting chance. Nurses are thankful that World Vision has supplied Kapolowe residents with nets and educated them about malaria but those who live in remote areas remain difficult to reach given the instability of the country. After spending a week in hospital, Maria was able to go home. In fact, World Vision's Gidebo says the treatment of malaria is the easy part. "Once the child gets on the right medication before there are any complications, it's easy to treat. There is no reason why we can't end the epidemic of malaria." Ending the epidemic is precisely what's on World Vision's agenda. In partnership with the Global Fund and in alignment with the United Nations Sustainable Development Goals, World Vision is part of an ambitious global effort to end the epidemics of AIDS, tuberculosis and malaria by 2030. Wiping away these deadly illnesses for good is going to take more than money. Annually, World Vision together with the Global Fund equips more than 2.5 million people with access to healthcare for infectious diseases like malaria. That's an amazing achievement. But there are still far too many children dying of these preventable illnesses. And if one of them is your child, the success statistics mean very little. Wiping away these deadly illnesses for good is going to take more than money. We'll need to go further than ever before to reach the world's most vulnerable people -- people like Maria and her family. Canadians can help the millions of children like Maria by joining World Vision in asking the Canadian government to increase its budget and shift its focus to the most vulnerable populations and fragile places.